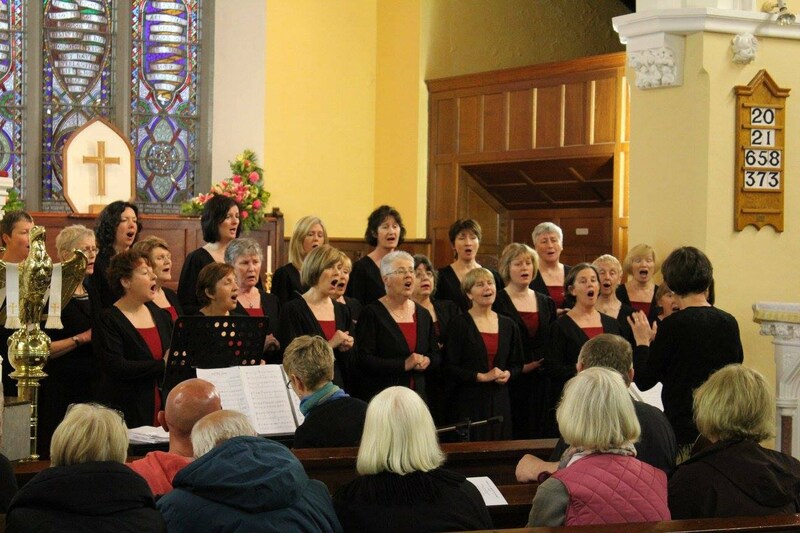 We are a female voice choir based in Bandon, Co Cork. We love to sing, to entertain others and to enjoy ourselves! New members are always welcome. Click here to find out more about us. For more details on our schedule go to the Calendar. 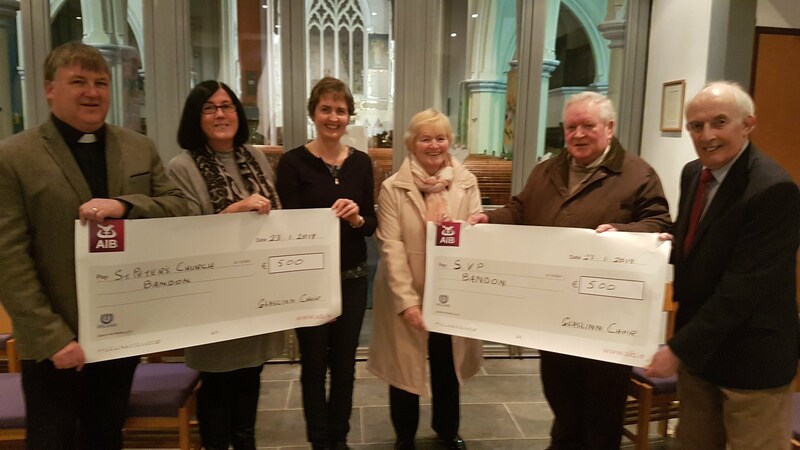 At the 2018 Christmas Concert organised by the choir, €1000 was raised in voluntary donations. On January 23rd, the proceeds were presented to the beneficiaries - St Peter's Church, Bandon and the St Vincent de Paul. Photo shows Carol Ann Horgan (chairperson), Antoinette Baker (conductor) and June Traynor (treasurer), presenting the cheques to Rev Denis MacCarthy (St Peter's Church) and Pat Dooley and Pat Traynor (St Vincent de Paul). Thank you again to the other performers and to our wonderful audience who contributed so generously on the night. If you are interested in choral singing why not come along to one of the rehearsals? An ability to read music is not essential as practice CDs are provided. While the Choir takes its music seriously, the social aspect is also very important! We often have social outings and trips. New members are always made very welcome and a friendly, encouraging atmosphere prevails! Rehearsals take place every Wednesday evening at 8pm in St Peter's Church in Bandon. Get the contact details here.